Functional feeds capable of reducing disease risks. To optimize cost efficiency, cheaper plant based sources of protein are often processed in shrimp meals resulting in an increased risk of mycotoxin contamination. A good mycotoxin prevention and protection strategy is thus highly recommended. With the use of antibiotics being restricted, it is critical to develop cost effective antibiotic alternative strategies to ensure the long-term sustainability of shrimp production. 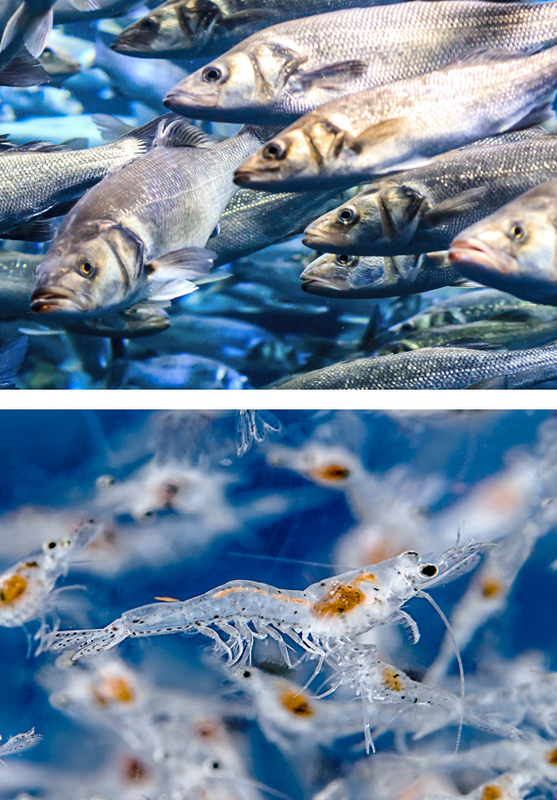 The global fishery and aquaculture industries face overcoming different long-term challenges to sustainable growth in aquaculture. Disease caused by infections and microorganisms is known to be one of the major constraints in the aquaculture industry, and fish may be susceptible to such diseases, regardless of nutritional status. Feeds containing antibiotics are commonly used to treat diseases, which is problematic for different reasons.